Elk damaged Aspen Boles stand in unity against the elements in Moraine Park. Rocky Mountain National Park's large Elk population scars the base of these aspen tree's when they eat the bark during the long Rocky Mountain Winters. 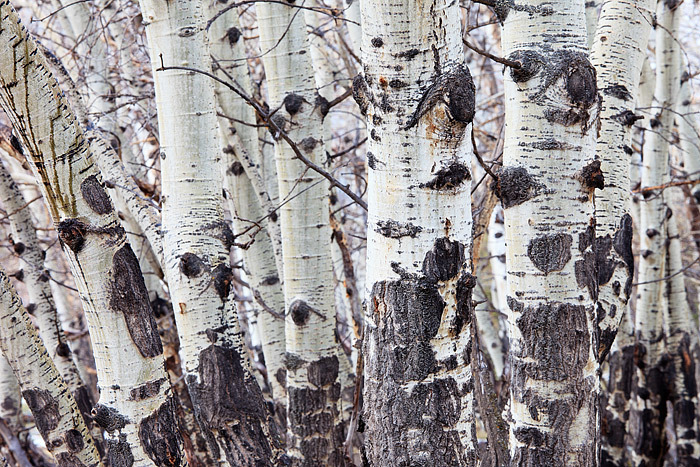 The Aspen trees of Rocky Mountain National Park bare these unique scars thanks to the hungry herds of Elk that populate Moraine Park. Photo © copyright by Thomas Mangan.